Whilst we eagerly await the next album from one of the standout AOR bands of recent times, they've given us something to keep up at the gates. In fact, they've given us two albums, but don't get too excited, these are demos and we know what that is, don't we? Muffled versions or lighter, but exactly the same versions of songs we know already. That's the danger, yet here, it's been mostly swerved. 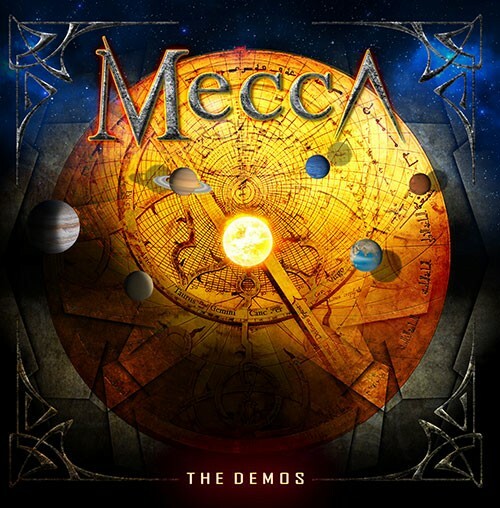 There are thirty-three selections on this release, tracks from Mecca's three excellent albums and some other offers which have been on compilation records and the like. 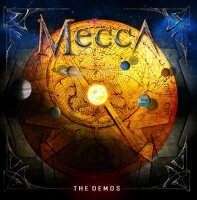 Although there are some instrumental backing tracks, which are really only okay as nice distractions (that said, unreleased instrumental 'Alive' is a fun jaunt), these demos are mostly complete and add a more immediate feel to the finished article which, as you'd expect, have a little more sheen. 'Still Falling In Love With You' is fabulous West Coast fare, instrumental 'Wasabi' might be the heaviest Mecca get (however, it's not that heavy), while 'Blinded By Emotion' (from the debut with Fergie Frederiksen on vocals) may be called a rough version but it's pristine. 'I Know' sticks close to the finished article but is a little weedier in the middle, 'Life's Too Short' might be even funkier than it's 'Undeniable' album finished article and the stripped-back 'Unknown' shows real soul. 'Ten Lifetimes' is brighter than the album track and 'Out Of Love' is the demo of 'Alone' from 'III'. We know what this excellent band can do, they produce lovely and long lasting AOR which dips into the past and has the sheen of polished gold. As you may expect from thirty-three songs, it isn't always great; some of the backing tracks included here, like 'Without You' and two versions of 'Wire To Wire' (from 'Undeniable') will make you smile but only that. It's a funny old release this, a sort of a "best of" with only a few albums out there, sort of new without any of them being truly new, but still sort of fantastic. Joe Vana's pipes with a host of tasty colleagues, including David Hungate, are 'Undeniable' and the writing is unbelievable. Whether you regard this as new or old, superb or cynical, the songs here will delight. One for fans of great AOR.